One of the many considerations that comes up one of the biggest is the fact that most dogs shed. Some people don’t mind and just make it a regular chore to clean up unwanted hair on the furniture and carpet. If you have a smaller dog then most likely they are an indoor dog and therefore they share your space with you. As far as Terrier go, there are some vrieties that don’t shed. Let’s have a look at a few in more depth.. Otherwise best known as a “Scottie”, these dogs have a double coat that is soft underneath and more rough on the outer coat. One of the benefits of these dogs is that their coat does a good job at repelling dirt so they don’t nead a bath as often as other dogs with the same amount of hair. The other benefit is that they don’t shed, but like all other dogs that don’t shed they lose hair like a person does. These little cuties are famous for their sparky personalities and short statures. They also have the benefit of having very short hair that doesn’t shed much on a black and white smooth coat. Otherwise known as a “Westie” these dogs have a soft white coat that is usually about 2 to 3 inches long. Some have a double coat and others don’t. The double coated variety are more common and have coats that are rougher on the outside while the inner coat is soft. They do need regular grooming, but they don’t shed. Also know as “Yorkies”, these small dogs have long soft hair that needs consistent grooming or they will get matted. The coat is usually a bluish tan in color. They have become one of the most popular dogs to own. These dogs are not surprisingly native to Australia. They have a double coat that is course to the touch and comes in blue and red shades. Other shedless Terrier breeds include the Border Terrier, Welsh Terrier, Silky Terrier, Norfolk Terrier, and Cairn Terrier. So you can see that the Terrier has a lot going for it as a breed. Not only do they make great pets, but quite a few of them don’t shed so they are easier to clean up after than other dogs. 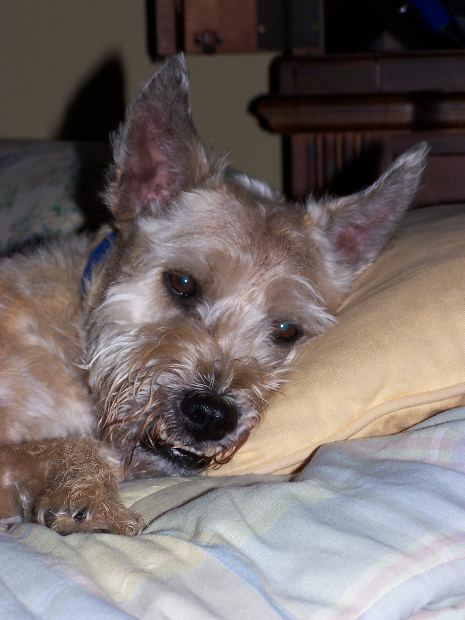 It is just another reason why the Terrier is the preferred dog of so many homes. 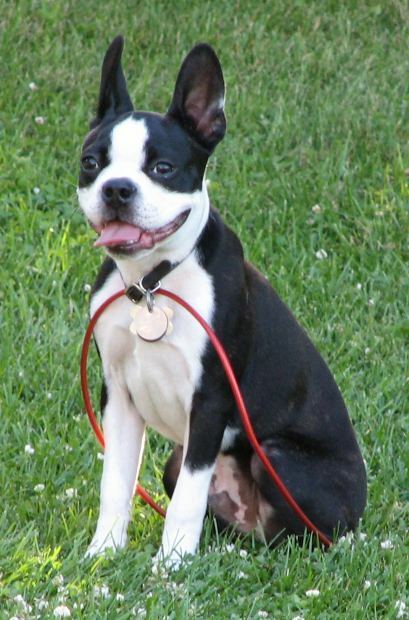 Boston Terriers are and excellent choice for a companion and I will explain why. 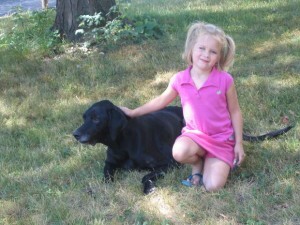 When you are deciding what kind of dog to get, there are some considerations to make. 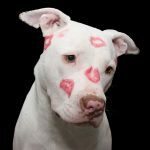 If you are hasty when it comes to choosing your next canine companion then you could wind up regretting it very quickly. Here are some things that make the Boston Terrier stand out in the crowd. 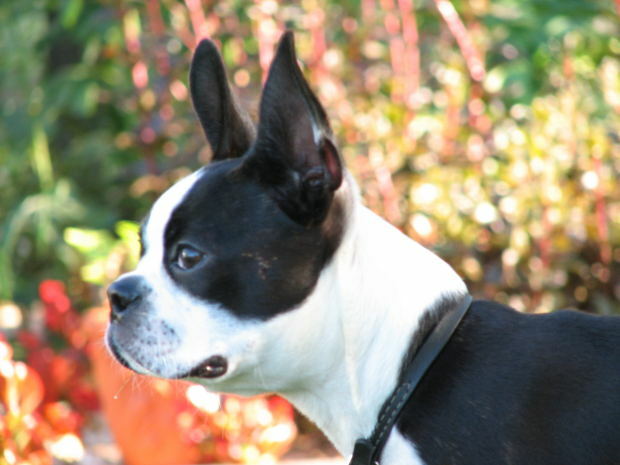 The typical Boston Terrier weighs in at between 10 to 25 lbs. There are some distinct advantages of having a smaller dog. Smaller dogs make for better house pets. They don’t eat as much food, and they are usually easier to clean up after. Though every individual dog will very in personality, the Boston Terrier is usually very pleasant. They make great family dogs, they are great with children, and they are pretty smart as well. Usually the smarter the dog the quicker they are able to grasp training. These dogs don’t need a whole lot of grooming. They should be brushed about once per week even though their coat is short. A good bath once per month should keep them clean as long as they don’t take a romp through the mud. Other an that, a periodic teeth brushing, and nail clipping is all you will need to do for these easy care dogs. As with any dog, they will need some daily exercise. They are very playful by nature, so this is an easy task. So there you have it. The Boston Terrier is a great dog and you will quickly fall in love with their cute antics and playful behavior. They make a great companion for most any family and can adapt to most any lifestyle. Now that summer is coming to a close, it is time to start preparing for cooler weather. There is still some time for a trip to the beach with your dog, but it is time to start looking at getting ready for the change in season. Therefore here is a checklist to look over to make sure that you are prepared. Perhaps you are of the fortunate few that live in a climate that stays warm even in the winter months. Most people are not in that category though and have to batten down the hatches. That means that you have to make sure that your dog is warm and comfortable in these winter months. Dog clothes have become a fun trend in recent years, but they can have a practical use as well. 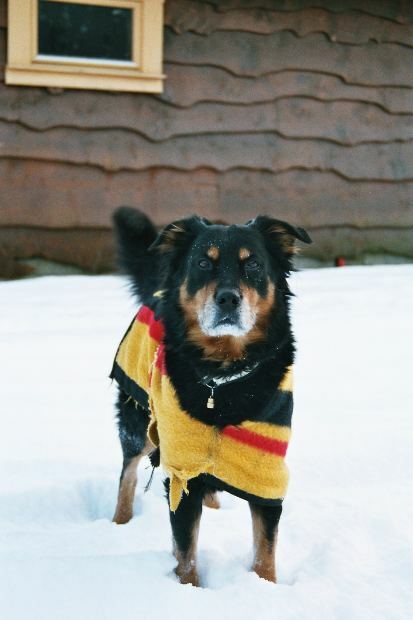 In colder climates your pooch will thank you for some warm clothes when the temperature dips down to uncomfortable levels. If you keep your dog outside in a dog house, it might be a good idea to at least move them into the garage at night and make sure that the temperature stays at a level that your dog won’t suffer. For those that have the funds, there are some nice heated dog houses that will work for and size dog. Make sure your dog has plenty of water. This should go without saying, except that if your dog spends a lot of time outdoors and it gets cold enough the water can freeze. 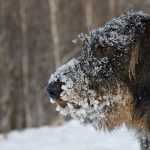 Though your dog will instinctively eat the ice, it will bring their core temperature down and can potentially kill your dog. Exercise will keep your dog moving and therefore keep them warm. Again this is not as important if your dog is an indoor dog, but if they spend any significant time outside then you need to either walk them or play some sort of fetch game with them throughout the day. Just make sure that you don’t wait around until the weather drops to be prepared. Taking care of things early is the best way to be ready for the change in season. It is a common problem that dogs will sometimes visit your yard unexpectedly and when they do they often urinate or poop in it. 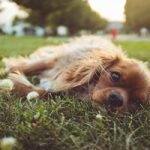 It is never fun to have to clean up after a foreign dog leaves a mess in your yard, but there are a few ways to repel them from coming back once the problem starts. If you own a house and dogs have been using your back yard as their personal toilet, then one of the quickest ways to solve the problem is to put up a fence. This can be a bit spendy, but if you can afford it and don’t already have one it also makes the home look nicer in the process. Just make sure that the fence is high enough to thwart any dogs from getting over it. If there is easy access to the back yard from the front then this obviously won’t work and you will have to use another method. A simple solution of 1 cup baking soda per gallon of water sprinkled on the lawn should repel dogs from doing any of thier business in your yard. 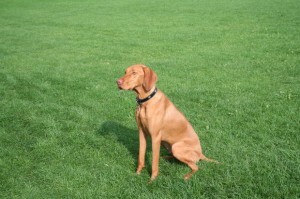 It will also help to grow back any grass that has been dried up from dog urine. It has been observed that most dogs will avoid wet grass if they can help it. If you have a decent sprinkler system you can keep the grass wet if you have an idea when the canine culprit makes their entrance. This works if you have observed that the dog comes at a predictable time each day. Otherwise you can wait for the dog and simply chase them down with the garden hose and scare them away. By filling containers with water such as bottles or other containers you can set them at various places in your yard. Dogs usually don’t go to the bathroom near water so it is just another way you can try. There are also chemical sprays and so forth that you can use. If you do go with this option it is best to use ones that are not only lawn safe, but won’t hurt any dogs either. Last you can use one of the advertised electronic motion devices that are meant to repel dogs. These devices emit a high pitched sound that only dogs can hear. It will usually deter a dog, but won’t cause them any harm. It is nearly impossible to go into a pet store with dogs inside and not have your child ask you for one. The age of your child partly determines their maturity level, but even a more mature child is likely not ready for the responsibility of caring for a puppy. If your child does talk you into getting that cute little pooch (they often win) you will no doubt go over the rules with them as they nod their heads emphatically. They will say whatever it takes to have that cute puppy. It usually turns out that they will do good on the rules for a week or 2 and then begin to slip. Most of the time this means that the parent has to take full responsibility for the dog, but is doesn’t have too. One way to make sure that your child fulfills their part of the bargain is to insure a stiff penalty for repeated failure. 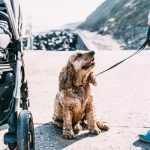 Forgetting to feed the dog or take it out potty once in a while is dismissible, but when it becomes a problem of negligence it needs to be addressed. One rule that should ensure your child follows through with their responsibilities is to let them know that there are penalties for not complying with the care schedule you set up in the beginning. One way is to start with the normal disciplinary actions such as grounding, loss of privileges, etc. Ultimately, if they do not want to remain responsible for their part in caring for the dog then they should expect that you will find another home for the dog. That is a last resort, but should ensure that they will keep up with their responsibilities. Kids can easily shirk their chores but if there are no consequences to their actions they will never learn. Getting a dog is a great way to teach them responsibility, but if you don’t make sure they fulfill their obligations, then they don’t really learn anything but to pass off responsibility to others which is not good. As most dog owners would agree, you want your dog to be healthy. Not surprisingly dogs can get many of the very same illnesses that people get. One of these is pneumonia. This is more commonly found in young puppies under 1 year of age, but sometimes older dogs can get it as well. If not treated quickly it can be deadly. The major symptoms are productive coughing, nasal discharge, trouble breathing, fever, dehydration, appetite loss, lethargic behavior, sudden weight loss, and an increased heart rate. You might also see that your dogs lips are protruding out when they breathe. It is getting severe when the lungs start to fill with fluid and the oxygen supply to the rest of the body is reduced. You can tell if they are getting less oxygen by looking at their tongue, lips, and gums. If they are blue or gray in color (if they are not normally this color) then you have a big problem. There are 3 main causes for pneumonia. These are either bacterial, fungal, viral, or are caused from parasites. When it comes to dogs the most common way is from bacteria. Most often it is through inhaling these bad bacteria that they contract it. Contributing factors are a reduced immune system, they can’t eliminate waste very well, malnutrition, and bacterial infection. If you notice any of the above mentioned symptoms, call a vet immediately. Your vet should immediately look at the dogs lungs and their heart. When the dog breathes if there is wheezing or strange noises they should be able to hear it through a stethoscope. It might even be heard without one. It shouldn’t take long for your vet to properly diagnose the problem. If your dog does get pneumonia then depending on the severity, your dog may need some hospitalization. When in treatment your vet should be able to confirm the type of pneumonia. If it is bacterial, then they will give the dog antibiotics. They also might use treatments such as humidified oxygen to loosen the buildup in the lungs. The key is to get your dog in immediately if you notice any of these symptoms. When it comes to Rat Terriers there are 2 kinds. There is the short-legged, and the long-legged Rat Terrier. The short legged Rat Terrier is believed to be a mix between a Welsh Corgi or a Dachshund, while the long-legged a mix of the Whippet or Greyhound. In average they stand 14 to 23 inches in height, but medium Rat Terriers average 8 to 14 inches, and Toy Rat Terriers average 8 inches tall. They come in many colors ranging from chocolate, red, white, pearls, sables, solid red, black and tan, and a white/red mix. They also have a very long life span for a dog. If you take good care of one they can live up to 25 years while the average is 15 to 18 years. Rat Terriers are known to be very feisty and very lively. They will take some training as with any dog, but you will need to show yourself as a confident “pack leader” otherwise they will likely try to run the show. As with all dogs, positive reinforcement is a good rule of thumb. They will need daily exercise to spend their energy. They are good with kids, don’t require much grooming (about once a week), and love being indoors as well as outdoors. When shopping for them; because they are pretty small you won’t have to spend a fortune looking for good dog beds or toys, but you will want to get them something that will last. Therefore they are a great family pet. With all these good traits and a very long lifespan they are a great dog to have. Has your Jack Russell terrier become a very aggressive dog? It has been studied that this terrier dog breed is pretty much known to become aggressive towards other dogs and also strangers. And with that, here are some facts that you should know when it comes to potential aggression of Jack Russell terriers. Aggression is not just a terrier dog breed issue, as it is also present to other dog breeds. And some of the common reasons why dogs become aggressive are due to lack of discipline, lack of companionship, and lack of things and activities to do. When your Jack Russell becomes aggressive, it may become a problem. You must stop this before your dog can seriously hurt a person, or another dogs and animals. When your dog encounters an opportunity to become aggressive, never allow him or tolerate him to do it. This may give him the wrong message. As I have stated that this terrier has been studied to be aggressive, then it is important that you should never put two JRs in one room for a very long period of time. In addition, you should also be very firm and consistent when you are trying to discipline him. 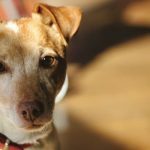 Jack Russells may be very popular dog from the terrier breed but you should also provide guidance and full attention to. Jack Russells are not bad dogs, but it is important to remember to be diligent with them when it comes to training them. That way you will have a properly behaved and socialized dog. It is very important that you should be doing all the right things when training any type of dog. 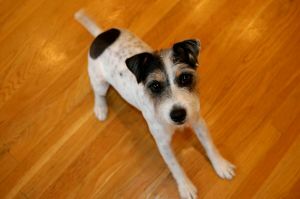 In this article we will be talking about a particular terrier dog breed, which is the Jack Russell terrier. To help you out here are some helpful tips when training your Jack Russell. 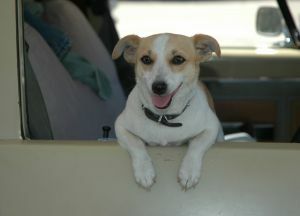 The first tip that I am going to write here is the way to get the attention of your Jack Russell terrier. It has been said by many dog owners and trainers that Jack Russell terrier are a difficult terrier dog breed to train, mainly because they have a really short attention span. So what can you do in order to get their attention? One thing that you can do is to make your dog train when they are between meals. Hunger is one way of motivating your dog and no, we are not talking about starving them. If you decide to train your dog when they have already eaten their meal, then chances are they won’t be as motivated to do anything much in the way of training. Just don’t wait until they are “too hungry” when they are doing their training, as they may not be able to focus during the training session. Another thing is to give them a walk before training them. 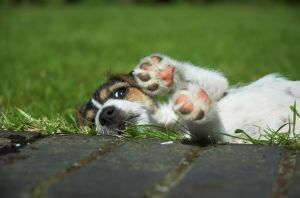 A Jack Russell should never undergo training while their energy is too high. By taking them for a short walk, you will be taking away some of their energy and that should take the edge off their abundant energy. After that, you can start with the training regimen that you have for that day. For high energy dogs such as the Jack Russell Terrier, that is one valuable tip that you can employ when doing your training. The Jack Russell terrier is a great terrier dog breed, that is why it is easily picked as one of the most popular terrier breeds. If you are planning to keep one or you are already having one frolicking around your house, then here are some tips to remember when keeping a Jack Russell terrier. 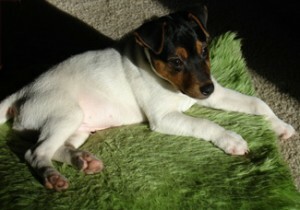 When you are going to purchase a toy for your Jack Russell, you should pick the most durable ones. And with that said, you should never buy the soft kind of toys like stuffed toys as it wont really survive, even though this terrier dog breed has a soft spot for cute little things like stuffed toys. It is very important that you should let your dog know who is the boss – and that is you! You can implement this by picking up their food bowl once in while he is still eating. By making your Jack Russell sit for their food, he will know that you are the one who has the authority around the house and that will keep them in their place. And last but not the least you should always let your dog socialize from time to time. Whether it is a weekend walk at the park, or you let your friends pay you a visit, it helps your young Jack Russell terrier to become less nervous when there are other people, dogs, and animals around him. This tip also applies to other dog breeds, too. This breed can be very aggressive when it comes to other dogs so socializing them properly is a must. This topic will be discussed in a later article. And these are the tips to remember when keeping a Jack Russell terrier.